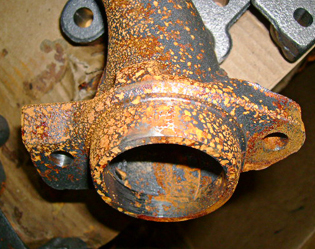 Corrosion is a costly enemy that causes billions of dollars in losses each year for companies. A study by NACE International (The International Association of Corrosion Engineers) cites that the direct cost of corrosion in the U.S. is $276 billion (3.1% of Gross Domestic Product). 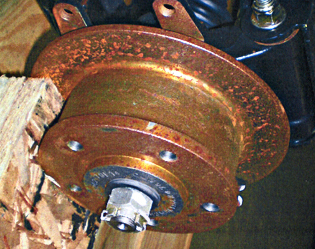 Other industrialized nations must be experiencing corrosion issues of a comparable magnitude. This coupled with the ever increasing shift towards international purchasing and shipping gives rise to a significant worldwide corrosion issue. With the ever increasing cost of energy and resources, the cost of corrosion will only increase. As a result of these challenges, metal manufacturing and fabrication companies need to implement cost effective corrosion reduction methods. In the current competitive environment, resources must be conserved and product rejections must be reduced. Corrosion solutions must be put in place for in-process, storage, and shipment of metal-based products. 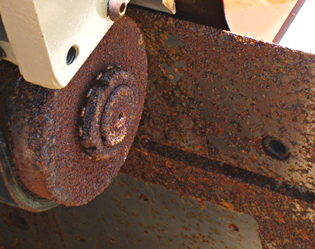 Rust or more generally, corrosion, can wreck havoc on your company. Rust problems can shut down your assembly line, cause re-work, prohibit successful completion of a Production Part Approval Process (PPAP), cause customer rejections, increase scrap costs, cause production delays, create health and safety concerns and equipment failure. Many companies or organizations don’t really know how much rust is costing them. Communication of rust complaint by customer service, sales and operations. Meetings held with engineering, quality, customer service, and production to determine root cause, re-work or scrap plans, scheduling of additional parts or re-work and communication back to the customer on action plans and resolution. Inspection of materials to determine the disposition. Re-work of the materials to remove the rust. The manufacturer incurs costs of shipping the rejected product back to their facility as well as costs to ship product back out once de-rusted or for new product. There are significant costs in materials needed to either de-rust the metals or in the materials to produce new product. Additional packaging costs to re-ship the materials to the customer. A rare consideration is the lost opportunity costs incurred that limits the ability of the manufacturer to produce parts for other customers during this crisis. Additionally, the lost opportunity costs for operations or engineering to work on new projects. Perhaps the largest cost is the damage to your companies’ reputation. The entire company and brand suffers from a rust issue in regards to trust, reputation and in the confidence of the customer in your companies’ abilities to service them. Fortunately for our customers, ARMOR has been providing corrosion management solutions to industries around the globe for over 35 years. ARMOR is positioned to give you the tools and support for your rust and corrosion management needs. We don’t just protect your metal parts; we protect your reputation.